Recently completing a starring role in the world premiere of Paradise Square at the Berkeley Repertory Theatre in the San Francisco Bay Area, KEVIN DENNIS has been a rising star in Canada since the late 1990s. He has landed leading roles in stage productions by respected theatre companies such as Confederation Centre of the Arts in Charlottetown, the Shaw Festival in Niagara-on-the-Lake, as well as Toronto’s Canadian Stage Company. On television he has been seen in recurring roles on CBC’s Murdoch Mysteries and 11.22.63 opposite James Franco on Hulu/Bad Robot, as well as guest appearances on Reign (CW/CBS), Orphan Black (Space/BBC America), Warehouse 13 (Syfy), Flashpoint (CTV/CBS), Mayday! (Discovery), Queer As Folk (Showtime) and Emily of New Moon (CBC). 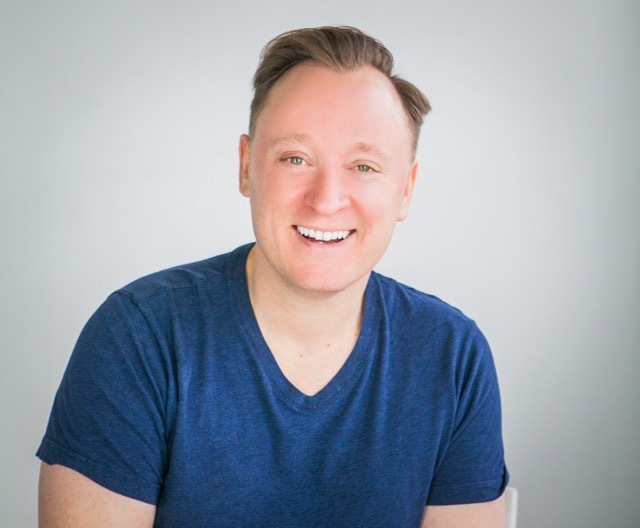 Beyond his work in front of the camera, Kevin has garnered over one hundred animation credits to date with voice-over roles in cartoons such as Busytown Mysteries (CBC/CBS), Redekai (Cartoon Network), Super Why! (PBS), Cyberchase (PBS) and Tabaulga and Lilli (Sony Pictures Classics). We sat down with Kevin to talk about his life, his career and his rise to fame. Hollywood Revealed: When did you first realize you had an interest in the arts? Kevin Dennis: As a child, I was always drawn to the camera, as well as the stage. My parents put me into community drama classes and theatre at age eight, where I excelled in front of an audience. I started acting in front of the camera at the age of twelve, appearing on successful Canadian TV shows like Ready or Not, Squawk Box and Nikita. HR: Where was you first appearance in public? High school? KD: My first role was Augustus Gloop in a community performance of Charlie and the Chocolate Factory at the Oakville Centre of the Arts. I was nine-years-old. I really enjoyed the adoring audience of parents and grandparents. HR: Did you decide then and there to be an actor? KD: That was it! I truly found what would become my life’s work. Plus, who wouldn’t like it when people clap for you at the end of your work day? HR: How did you get your ACTRA card? KD: Actually, I joined both Canadian Actors’ Equity (stage union) and ACTRA the same summer, at the age of nineteen. For CAEA membership I was selected out of hundreds of Toronto actors to join the cast of Forever Plaid at the Charlottetown Festival. I had just graduated high school and it was my first full summer away from my parents. I had also become legal-drinking age in Canada. I’ll just say it was one hell of a summer and an amazing gig. While performing in PEI, I was approached by the CBC to audition for a role on Emily of New Moon which was shooting on the island at the time. I managed to book the role and got to play opposite Martha MacIsaac (Superbad, Family Guy) and joined ACTRA as a result. HR: Sounds amazing. So would you say that was your luckiest break in the entertainment business? KD: No, I’d say my luckiest break came in front of the camera in 2014. I decided to shift my attention from a highly successful stage career to try and get more focus on film and television. It wasn’t all glory, trust me. I became highly skilled at waiter-ing, interior painting and special event service. But thankfully, the auditions started surfacing regularly for American TV shows being shot in and around Toronto. My biggest break was being cast in the pilot episode of The Strain for the FX Network. The best part of that gig was that I got to spent four days under the direction of Guillermo del Toro, who recently won the Academy Award as Best Director for The Shape of Water. HR: Nice. Have you managed to stay in touch with him? KD: Actually, I have. We spoke recently about working together again, so I am grateful for having met him and hopeful it will happen. I also got to work and become acquaintances with Carlton Cuse, the Emmy Award-Winning Executive Producer of the hit TV show Lost. HR: How much of a role does networking play in an actor’s success? KD: Like training and auditioning, networking is an integral part of the daily routine of a professional actor. You can`t wait by the phone for roles to come to you. It is essential to put your product out there and make new connections. HR: What’s been your favorite role to date? KD: For stage, the leading role of Frederick in Mel Brooks’ Young Frankenstein at Stage West was one of my absolute favorites. While no one can duplicate what Gene Wilder did, it was exhilarating to play these classic comedy scenes in front of a live audience eight times a week. 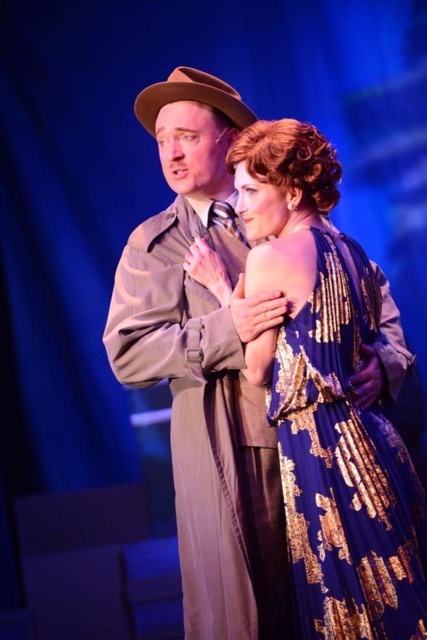 I also got to play the role opposite my lovely and talented wife, Adrienne Merrell which was a dream come true! HR: Does being married to another performer help or hinder? KD: Definitely helps. We understand each other. We both realize that we are in it to win it, so we better make it work! HR: What were the challenges of playing the role of Mike Quinlan in your last show Paradise Square at the Berkeley Repertory Theatre? KD: It was very exciting to see my role expand into a larger, adversarial one during rehearsals and development of the show. 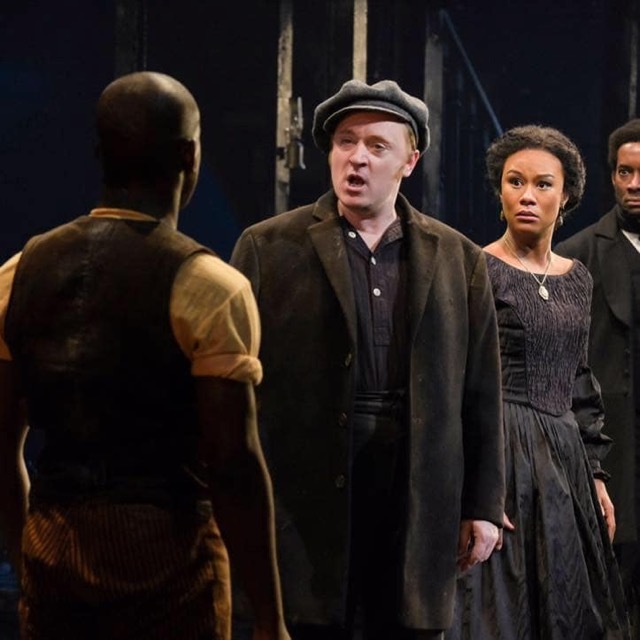 The play digs deep into the roots of American politics, immigration and race-relations, which made it extremely poignant for the acting company and audience. My character went to the Civil War, came home badly injured to discover his job was taken and a Federal Draft had been issued. What better drama could you ask for as an actor? As the story unfolded, my character was given some very radical dialogue. In the second act, after I delivered one of my final lines, I could hear the audience literally gasp while they shifted in their seats. That’s the power of live theatre. That is why I want to continue this pursuit in the United States, the biggest theater market in the world. HR: How much of an impact does social media have on an actor’s career in this day and age? KD: While I love posting videos of me goofing off, or pics of my cat, there is simply no denying the power and reach of social media. Facebook, I keep mainly for the fun stuff. Twitter is strictly professional. Instagram is a hybrid of the two. I enjoy posting about my professional experiences in theatre and on screen and seeing how far it can go. It’s a great tool to get your portfolio exposed to a wider audience. Plus, producers look to see how you represent yourself online and how many engagements your posts create. KD: I’m currently in Toronto re-immersing myself in the film and television scene. I had a great guest spot on Murdoch Mysteries last year, and I’m now looking at some on-screen roles for the spring and summer. Beyond that, Paradise Square has a very solid chance of making it to Broadway in the next few months, and that has always been the biggest dream of my life. HR: Let’s hope it comes true. Thanks for chatting with us, Kevin.